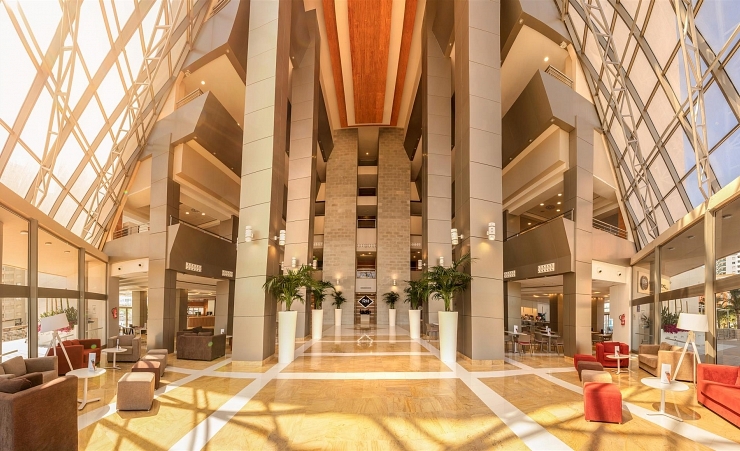 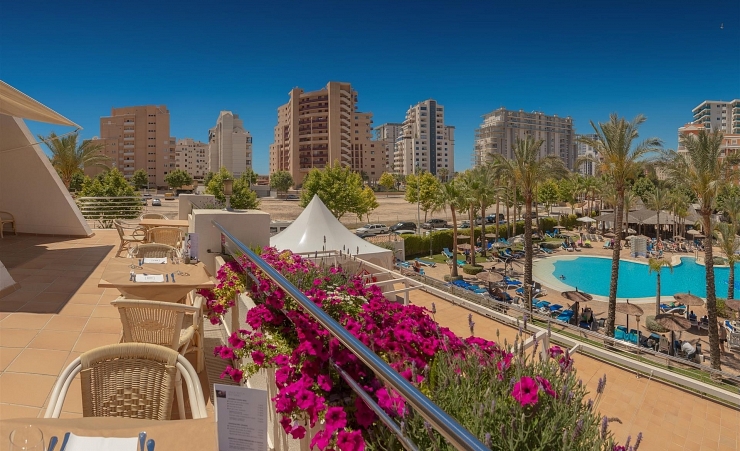 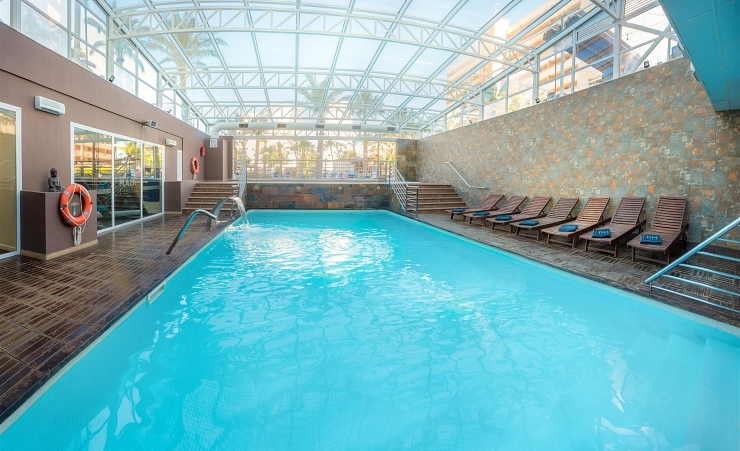 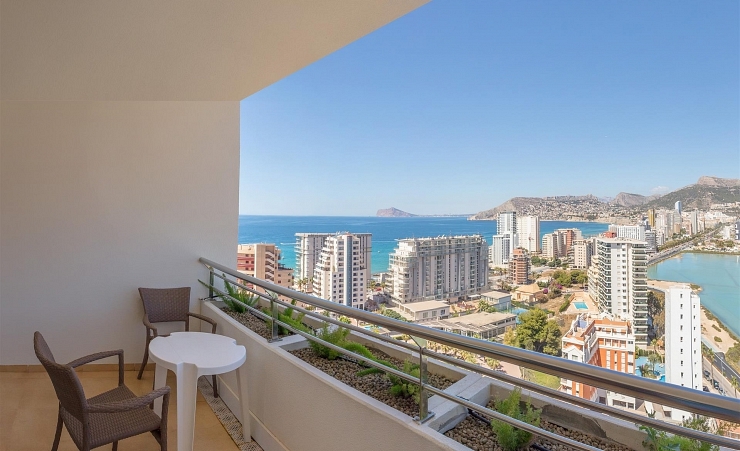 This family-friendly hotel is between the town and marina of Calpe. 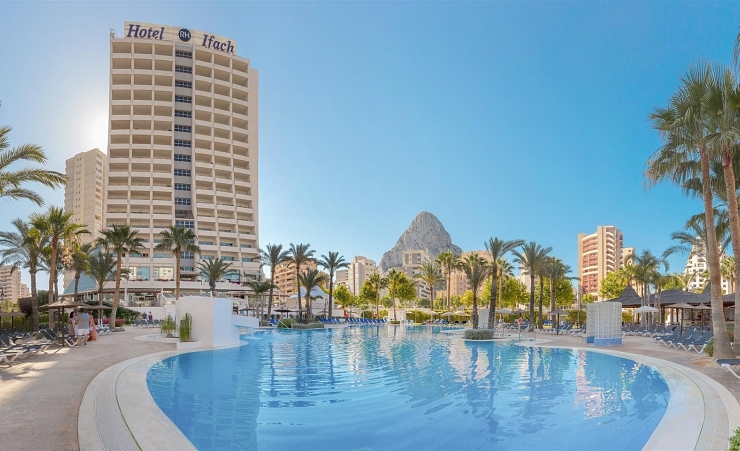 It is conveniently located just 150 metres from the Port of Calpe which offers spectacular views of the popular 'Rock of Ifach. 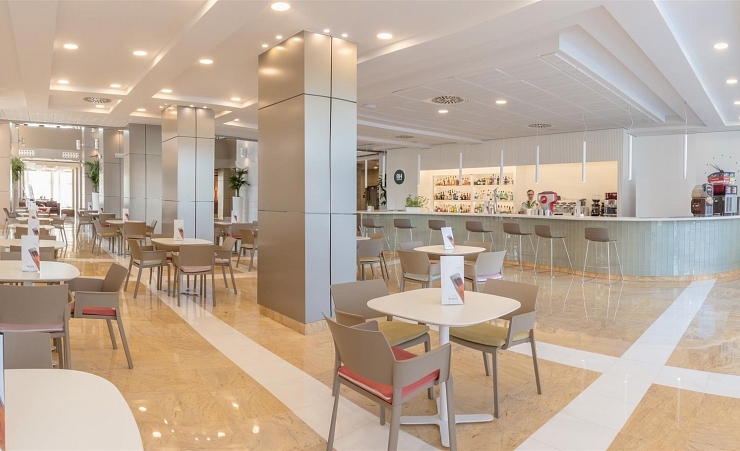 The hotel sits 1km from the centre of the town where there is a shopping centre as well as a range of bars and restaurants. 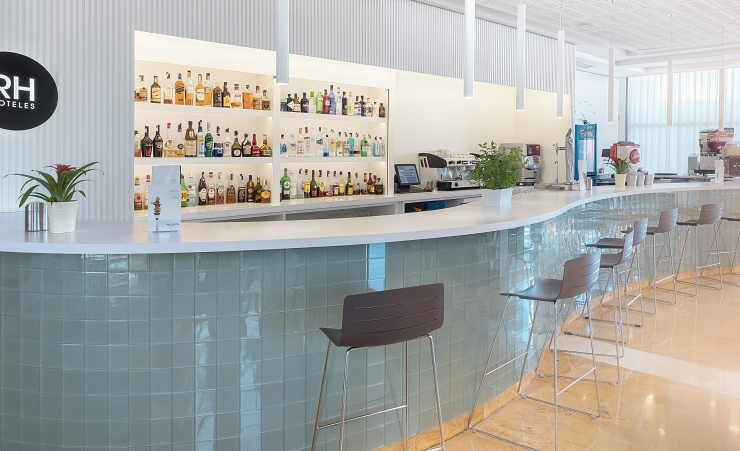 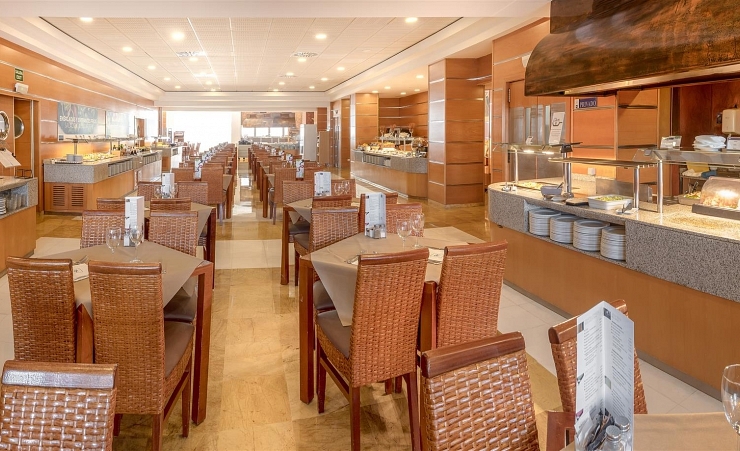 The hotel offers a buffet restaurant which provides a wide and varied menu while the hotel's café offers a range of international and national drinks and cocktails. 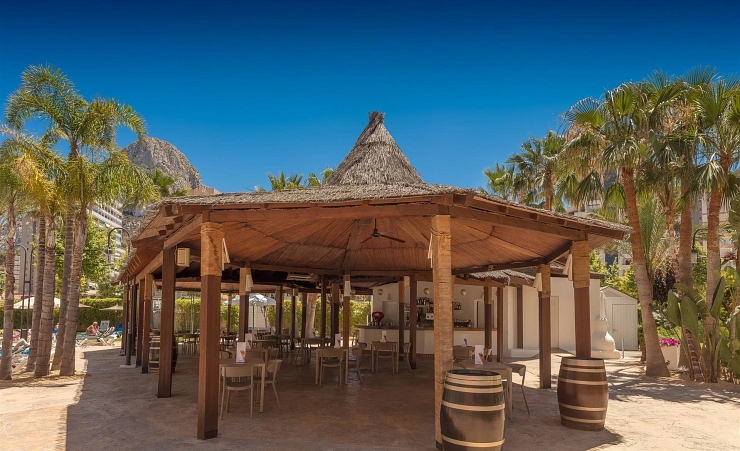 An outdoor bar is also available seasonally and is located next to the hotels swimming pool and gardens. 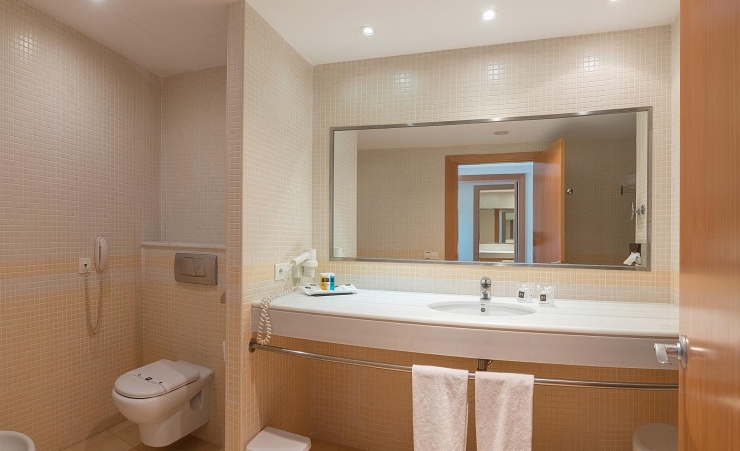 Air-conditioned twin rooms at the RH Ifach all have an en-suite bathroom. 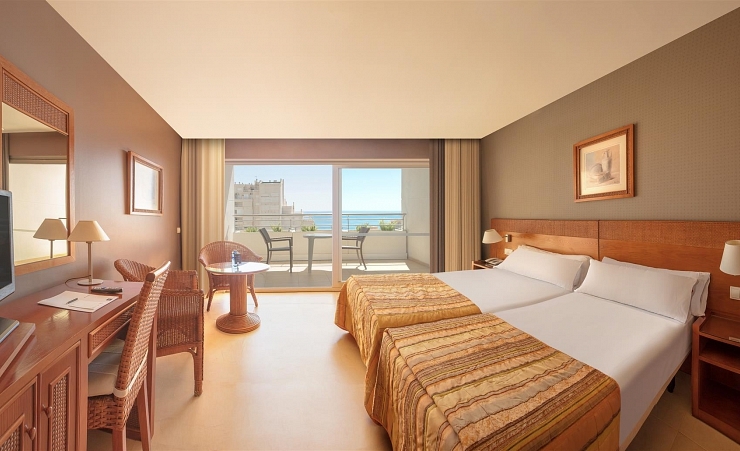 The rooms are also equipped with TV, telephone, hairdryer, minibar*, safe* and Wi-Fi. 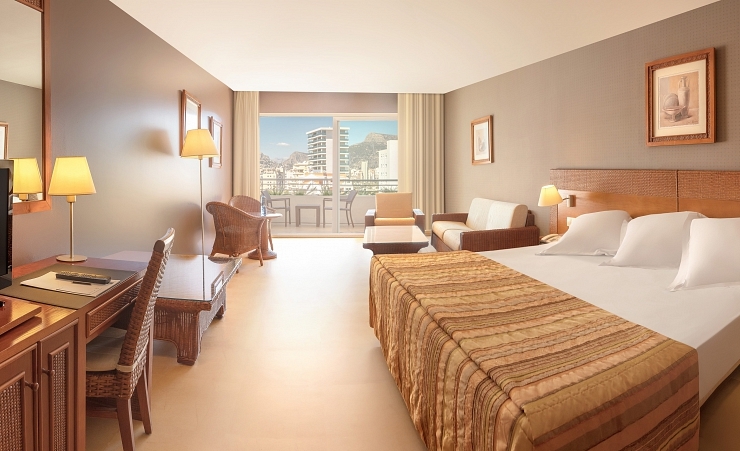 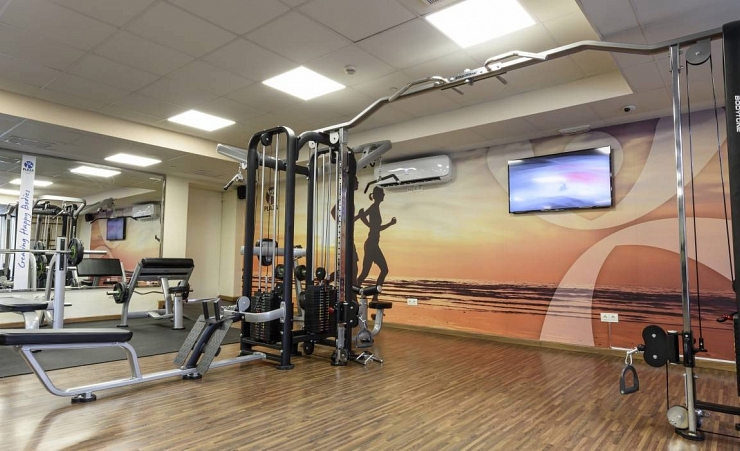 Larger premium rooms are available for a supplement.